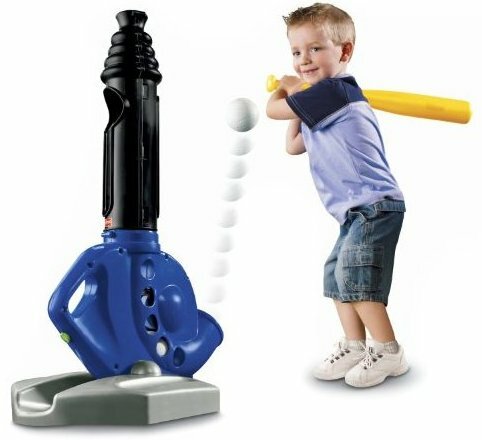 Three fun ways to play help kids learn to hit like a pro. Balls automatically pop-up from the base, one after another. Pitches balls up to 10 feet. Hit from a tee or from pop-up pitch. Includes battery-powered trainer, bat and 3 balls.